Living Well In Your OWN Home is an Informative workshop on understanding options for living in the community and getting support when aging and/or disability occur. 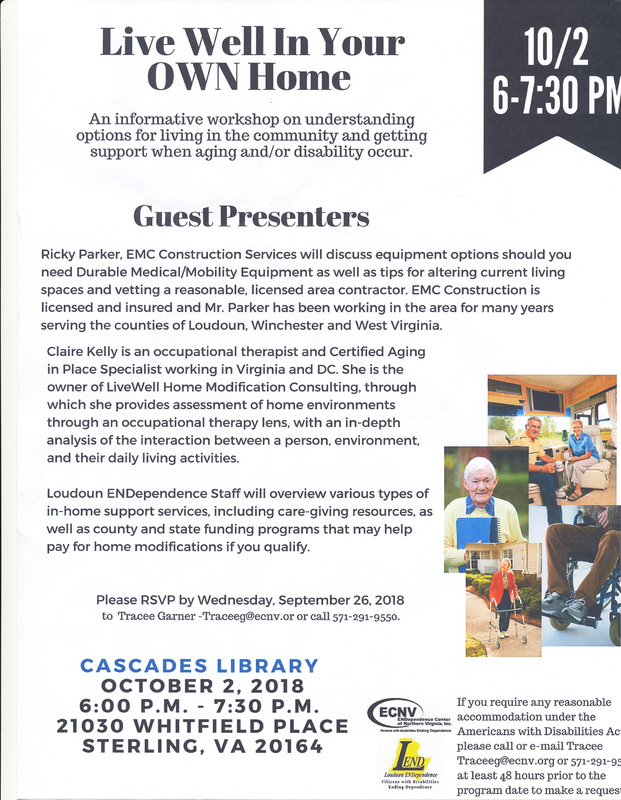 Guest Presenters include Ricky Parker of EMC Construction Services, Claire Kelly who is an occupational therapist and Certified Aging in Place Specialist and Staff from the Loundoun ENDependence. Topics that will be discussed include tips for altering your home, analysis of the interaction between a person, environment and daily living, and types of in home services available as well as state funding programs that may help pay for home modifications.